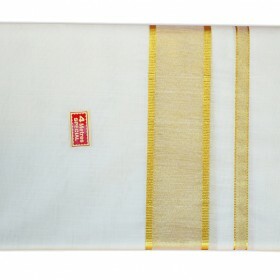 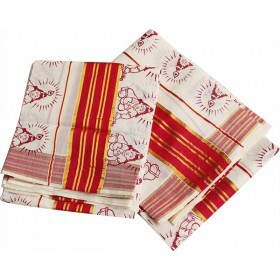 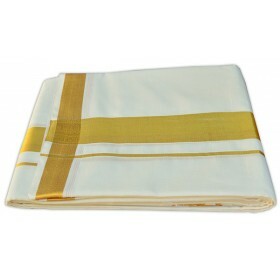 Gorgeous Kerala settu saree from MALABAR SHOPPING for woman’s to make them exotic in their traditional custom. 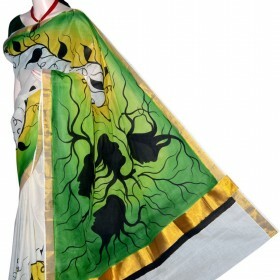 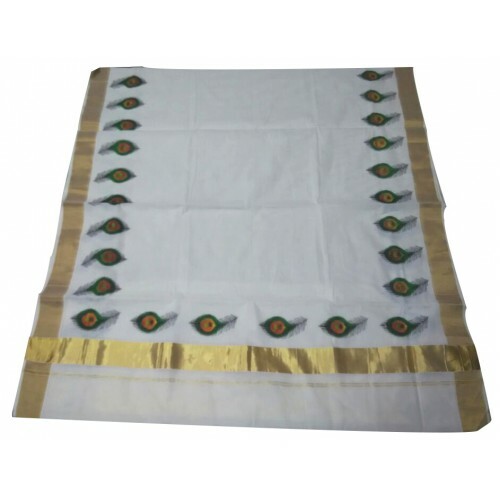 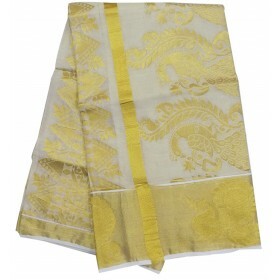 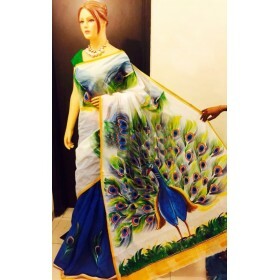 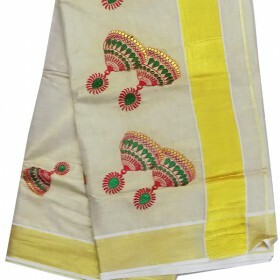 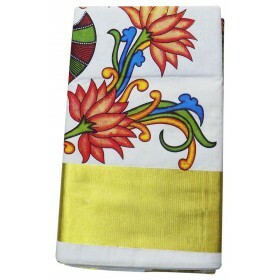 It is off white color having peacock petal mural print with golden zari on its pallu and on both sides of the saree we have golden kasavu along with the peacock petal. 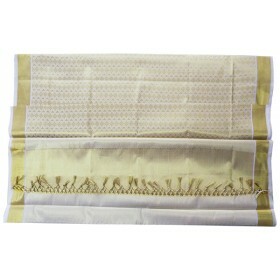 This give an amazing look for this traditional saree can be used for all special occasion to make you beauty. 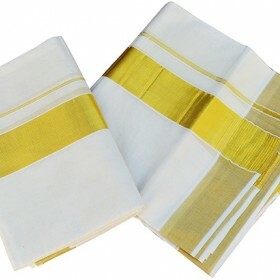 Matching blouse comes along.